Home/Fifteen Trees, Tree Plantings, Tree Plantings in Western Australia/Salmon Beach (WA). 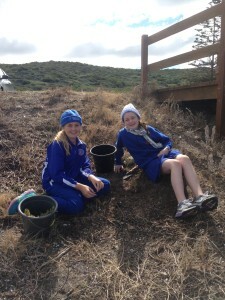 On Wednesday the 4th September 2013, Esperance Primary School Year 6 students and staff lent the local environment a helping hand by planting hundreds of trees in and around the Salmon Beach area. Local builder G.J. Gardner Homes Esperance donated the trees as part of their commitment to reduce their carbon footprint. Event co-coordinator Kathy Ashby said ‘It was a really great day, the students planted 300 trees in the coastal corridor area that needed re-vegetation. Their work today builds on the work the South Coast Natural Resource Management started last year. Thank you to Trudy Harvey, Gerry Maguire and the team at G. J. Gardner Homes. It is great to see companies rising to the challenge of climate change. The Future is Local (Rod Quantock) is something that Fifteen Trees strongly believes and works towards. It is great to see companies like G . J Gardner Homes seeing the importance of protecting our local environment. 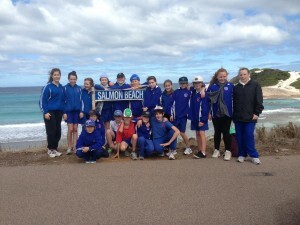 By Colleen Filippa|2018-01-24T15:35:51+10:00October 25th, 2013|Fifteen Trees, Tree Plantings, Tree Plantings in Western Australia|Comments Off on Salmon Beach (WA).